Click to download the full IATI Israeli Life Sciences 2018 Report (English). 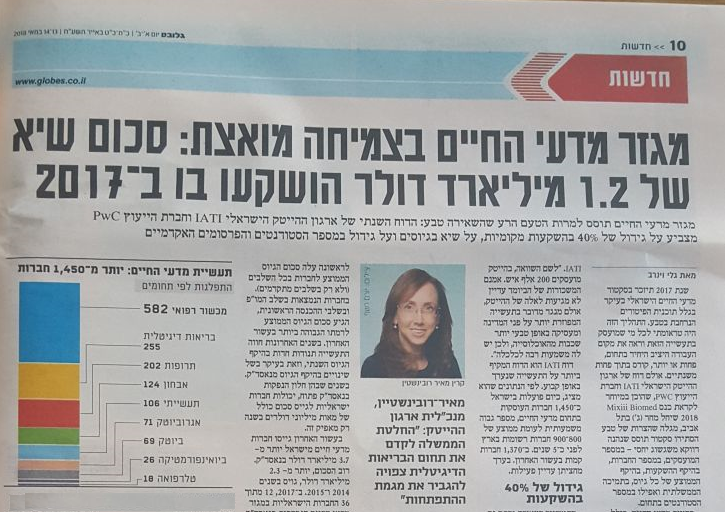 IATI's Israeli Life Sciences Report is the most comprehensive take on the Israeli Life Science Industry - a growing force within the global healthcare market. It provides an in-depth view of the local industry, and is intended to be used as a tool for better Industry, Government and Academic decisions. According to the IATI 2018 Israeli Life Sciences Report, Local Industry Continues to Grow and Mature. 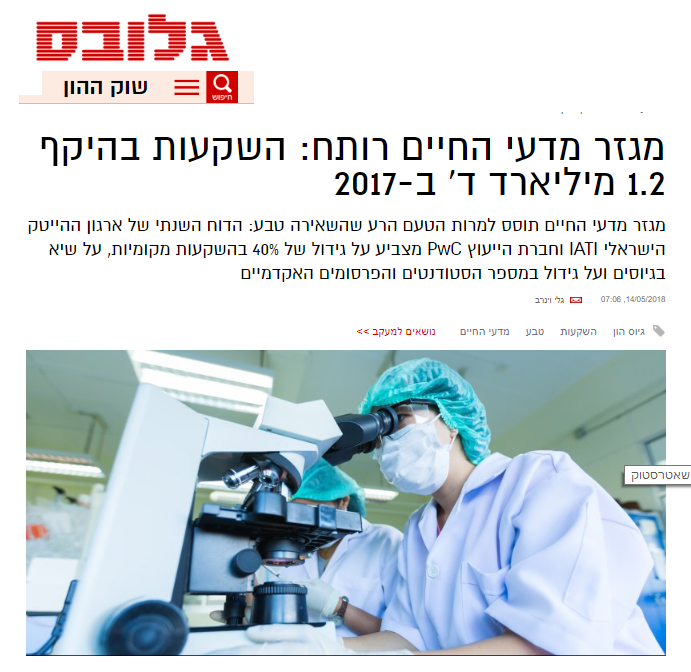 With almost $1.2 billion invested in 135 Israeli life sciences companies in 2017, the industry continues to grow rapidly in all sub-sectors; local investors continue to increase their involvement representing 40% of all investments. Teva Pharmaceutical Industries, Medison, Zag - S&W, Israel Innovation Authority. IATI's Annual Life Science Report: $1.2 B Investments in Israeli LS Sector in 2017 - Globes. Life science investment in Israel soars - Globes. 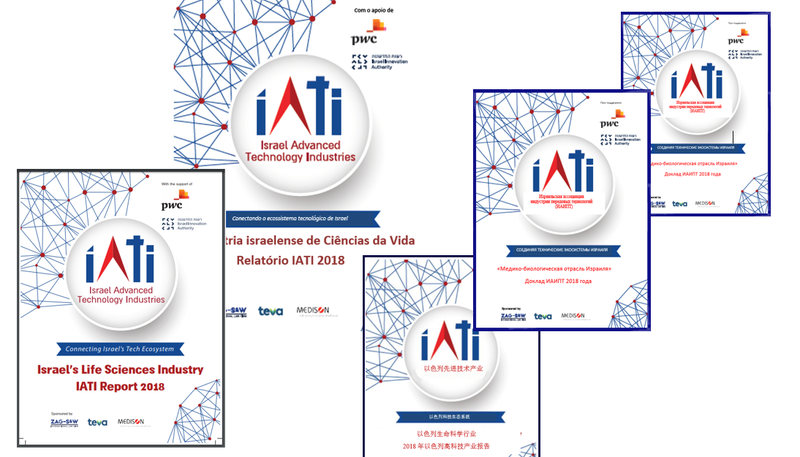 IATI publishes its annual life science repost for 2018 - YedaTech. Israel’s Life Sciences Industry Is Dominated by Small Scale Startups - Calcalist. 5 Israeli startups seeking cures for rare genetic diseases - Israeli21c. IATI 2018 Israeli Life Sciences Report: Local Industry Continues to Grow and Mature - Business Wire. Click for the 2017 IATI Israeli Life Science Report.